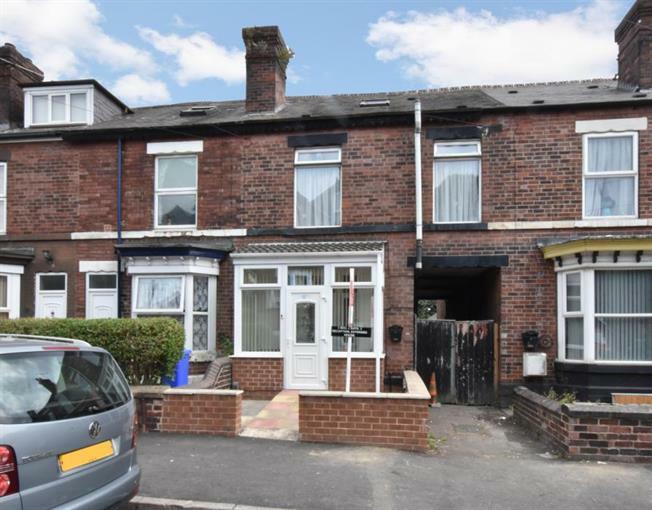 3 Bedroom Terraced House For Sale in Sheffield for Guide Price £105,000. A well extended mid terraced property that has been altered to provide two bathrooms and two reception rooms. The house has been well maintained and offers gas central heating and double glazing. The accommodation comprises, entrance porch, lounge, dining room, extended kitchen with downstairs wet room shower/w.c area. three bedrooms to the first floor with bathroom. Outside courtyard to the front with Astroturf to the rear. Located close to local shops and bus routes with the Northern General hospital with a short two minute walk. The house may be off interest to a first time buyer with attractive space ready to move into.